Escape the urban bustle at Seine River and Canal Ourcq. Next up on the itinerary: admire the landmark architecture of Cathédrale Notre-Dame de Paris, step off the mainland to explore Ile Saint-Louis, stop by Deyrolle, and contemplate the long history of Basilique du Sacre-Coeur de Montmartre. 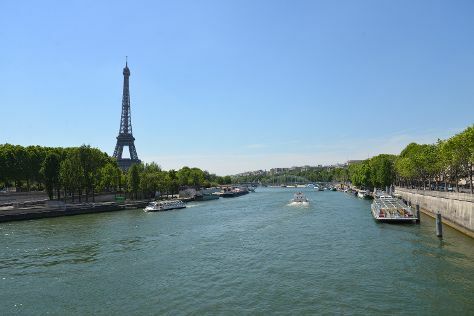 For reviews, maps, traveler tips, and other tourist information, read Paris tour builder tool . If you are flying in from Italy, the closest major airports are Paris-Orly Airport, Charles de Gaulle International Airport and Paris Beauvais Tillé Airport. Expect a daytime high around 8°C in January, and nighttime lows around 1°C. Cap off your sightseeing on the 28th (Mon) early enough to travel back home.